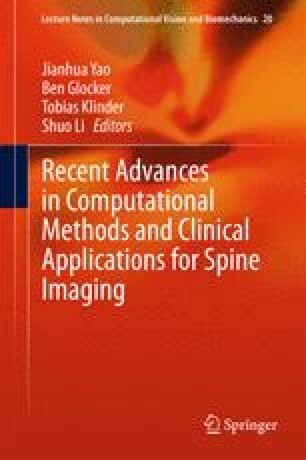 Automated detection of sclerotic metastases (bone lesions) in Computed Tomography (CT) images has potential to be an important tool in clinical practice and research. State-of-the-art methods show performance of 79 % sensitivity or true-positive (TP) rate, at 10 false-positives (FP) per volume. We design a two-tiered coarse-to-fine cascade framework to first operate a highly sensitive candidate generation system at a maximum sensitivity of \(\sim \)92 % but with high FP level (\(\sim \)50 per patient). Regions of interest (ROI) for lesion candidates are generated in this step and function as input for the second tier. In the second tier we generate \(N\) 2D views, via scale, random translations, and rotations with respect to each ROI centroid coordinates. These random views are used to train a deep Convolutional Neural Network (CNN) classifier. In testing, the CNN is employed to assign individual probabilities for a new set of \(N\) random views that are averaged at each ROI to compute a final per-candidate classification probability. This second tier behaves as a highly selective process to reject difficult false positives while preserving high sensitivities. We validate the approach on CT images of 59 patients (49 with sclerotic metastases and 10 normal controls). The proposed method reduces the number of FP/vol. from 4 to 1.2, 7 to 3, and 12 to 9.5 when comparing a sensitivity rates of 60, 70, and 80 % respectively in testing. The Area-Under-the-Curve (AUC) is 0.834. The results show marked improvement upon previous work. This work was supported by the Intramural Research Program of the NIH Clinical Center.